In a fearless performance as wayward naval veteran Freddie Quell, Joaquin Phoenix shines as the film's main character. As I watched him perform, it seemed as if he was channeling an untamed animal in heat. His character says and thinks what he feels and allows his animalistic sexuality to dominate his thought processes. It's a difficult role that required a special actor for it to work. Thankfully, Phoenix dives right in and transforms his entire physicality (posture, facial expression, voice) to inhabit this character. It's a performance that thrives on instinct, with no clear template to predict his behaviour. Playing arguably a co-lead role and equally as impressive is Philip Seymour Hoffman as Lancaster Dodd, the leader of "The Cause". While Phoenix is wild and unhinged, Hoffman is the essence of control and composure. The contrast of acting styles is a yin and yang that yields tremendous results. The film soars when these 2 are interacting with each other. I fondly recall a crucial scene where Dodd is putting Quell through "processing" as a way to indoctrinate Quell during his vulnerable state. It's a probing interrogation that gets to the heart of the film. Although Quell is initially dismissive towards his advances, Dodd calmly persists, finding any opportunity to make him crack. The patient development of this scene really demonstrates Anderson's directing prowess. Anderson takes his time, allowing the conversation to slowly unfold with repeated questions, fixing an intense gaze on the pair. What this does is give the audience a clear sense of the power struggle between their conflicting ideologies (uncensored expression vs civilized morality). As you watch the scene, you begin to realize that Quell will become helpless to Dodd's disarming influence. His line of questioning is tailored to justify "The Cause", as he basically convinces Quell that any of life's disappointments can be reconciled by joining his cult. For me, this was one of the most fascinating thematic aspects of the story. Despite Quell's sexual depravity and deplorable behaviour, it soon hits you that the real monster is Dodd. Under the guise of faux intelligence and wisdom, Dodd ropes him into his community in an effort to correct his animalistic nature. To accomplish this, Dodd must be charismatic and approachable, which Hoffman fully understands. He is remarkably able to play with the charismatic aura of Dodd without a hint of eccentricity. Any rational thinker would immediately dismiss his bogus teachings, but it's easy to see how insecure individuals could be so easily manipulated. Dodd represents one of the worst kinds of evil. On the surface, he seems caring and considerate, but underneath lies very exploitative intentions. There are some small moments of rage throughout, where Dodd explodes in response to anyone challenging his opinions. It leaves no doubt as to the ugliness of his true character. As a result, I found myself feeling very sorry for Quell, as Dodd deceives him for his own personal benefit. Quell becomes a caged lab rat, meticulously examined to appease the curiosity of his leader. As I watched this dynamic develop, the film appears to be an indictment of religion. The film has been interpreted as an exposé of Scientology, but I think it also speaks to the danger of any religion that purposely preys on weak individuals. As disgusting as Quell may be, deep down lies a loving heart (emphasized by a romantic subplot from Quell's past) that actually makes him sympathetic. His callous actions are merely uninhibited expressions of traits that we can all relate to, but keep hidden (perverse thoughts, potty humour). Through this flawed individual, Anderson brings us back to our primal roots. I started out this review as a discussion about the Oscar race, and any serious film needs to be well-rounded in order to stand a chance for the major awards. While I went to great lengths to praise the 2 leading men, there is also another pivotal role that is worth acknowledgement. Amy Adams is a key piece to the puzzle as Dodd's fiercely supportive wife Peggy. This is a small but functional role that seems to have elicited some exaggerated praise in some circles. Performance-wise, I was actually a little disappointed with Adams' portrayal. When compared to the dazzling work of Phoenix and Hoffman (easy nominees for Best Actor and Best Supporting Actor respectively) her role just seems unfocused. To me, her acting was made up of a bunch of individual performances. While impressive on their own, I felt the scenes didn't quite stitch together for a fully wrought character interpretation. There's an "Oscar clip" to be found though and on that basis, I think she will get a nomination for Best Supporting Actress. Apart from the acting, the film succeeds on excellent craftsmanship that will likely go unrewarded. Mainly, the film features some stunning cinematography that seems effortless in its construction. There is a beautiful fluid quality to it that will likely be passed over for more obvious showy work. In addition, Johnny Greenwood's score goes a long way in delivering Anderson's special off-kilter tone. Again, I think the Academy will go for more grandiose work in that category. There are other categories where I do see some potential Oscar love though. I would be delighted if the Academy would recognize the immaculate skill of Paul Thomas Anderson's filmmaking with nominations for Best Original Screenplay and Best Director. It's certainly deserving and if all goes well, it should be accompanied by a nomination for the all-important Best Picture glory. Upon reflection, it's easy to recognize this film as a work of art. Like Quell's attraction to "The Cause", I initially succumbed to its mesmerizing, hypnotic nature. 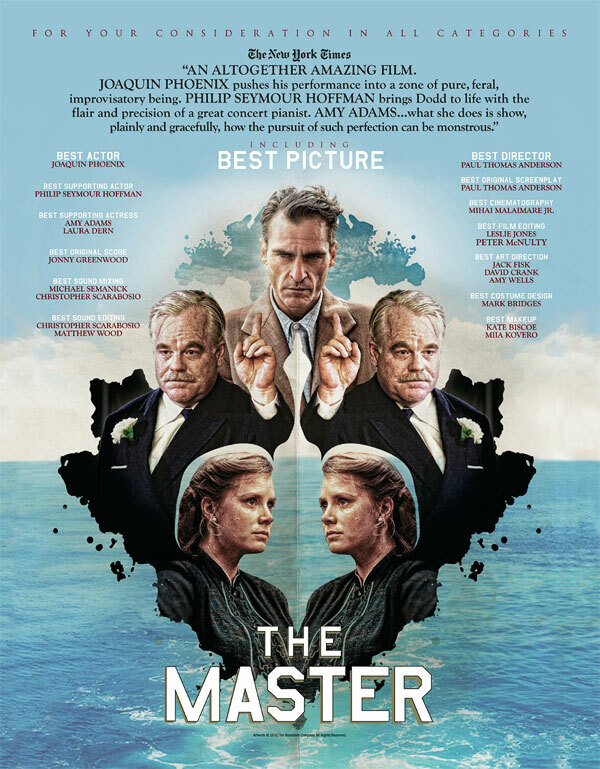 As I let the experience sink in though, I can't help but side with those who describe "The Master" as a "distant" film. As I already admitted, I like my emotions to be stirred up and would have therefore appreciated some more pathos. I therefore can't claim to have "enjoyed" it, but I have endless respect for this film. Paul Thomas Anderson is a master indeed. A very comprehensive review. Great job. I thought the movie had to be quite boring, but I see it made you interested. That's really good part. 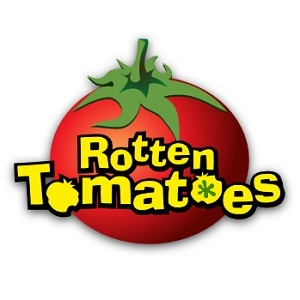 I've read plenty of negative reviews and doubt about it's Best Picture win, but nominations is obvious. Joaquin is my fav prediction for best actor so far. And I'm sure about Amy's and Philip's respective nominations. I was also worried that I would be bored, but the film really hooked me. I really hope it gets a lot of Oscar buzz. Good review. It's not Anderson's best flick, but it is definitely one of his most ambitious in terms of what it goes for, how it does, and what it accomplishes at the end. Not too sure what the theme/central message was about this 2 and half hour movie, but I still liked everything I saw, especially Phoenix and Hoffman's strong-as-hell performances. Hoffman and Phoenix are dynamite aren't they? Love how he juxtaposes the 2 characters. In PTA's filmography, this is actually right up there in the top 2 with Boogie Nights for me.